Marble, gentle with high quality. Metal, thin with warm temperature. The combination of these two, full of fashion sense. Show the attitude and pursuit of life from the details. 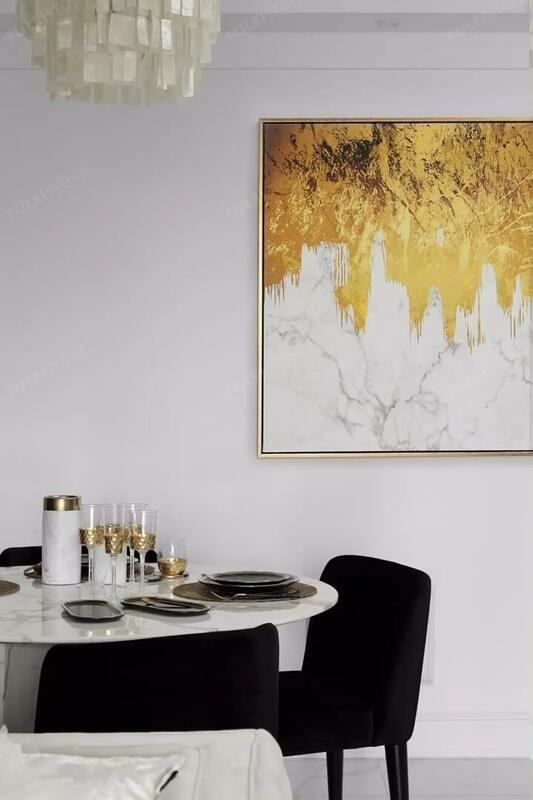 Create a high-grade modern luxurious room. 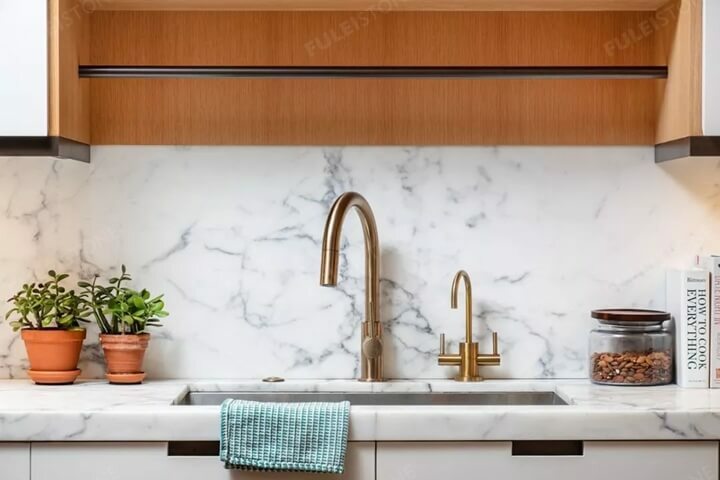 It is a perfect combo of warm metal and white marble, especially the Italian white marble — Carrara, Calacatta, and Statuario, which interspersed with metal, can smooth the cool white and refine the texture to be warm and deluxe. With different marbles, can show the different styles to your home. 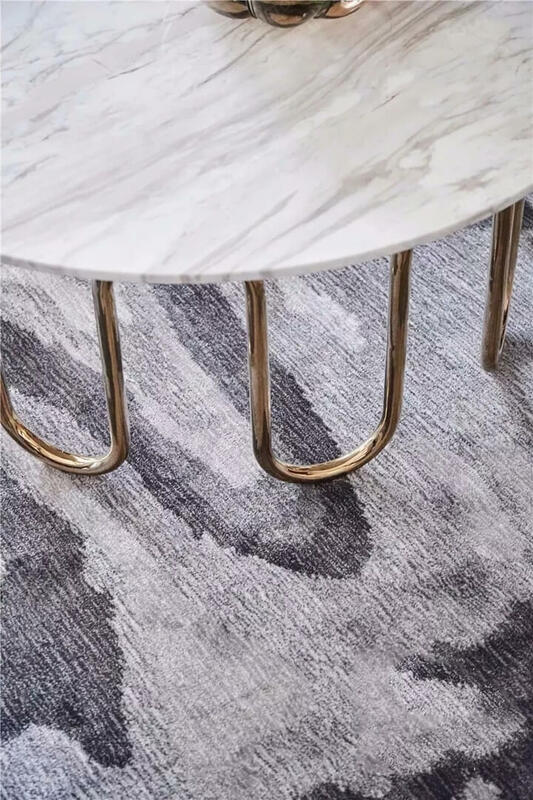 The texture of the marble greatly enriches the expression of the stone. The various lines are full of classical atmosphere. The decoration of marble is smooth and delicate, bright and fresh, revealing a mysterious and confusing luxury. The sun shines on the ground, which fills the entire space with a sense of warmth. Marble & Metal, graceful but monotonous. 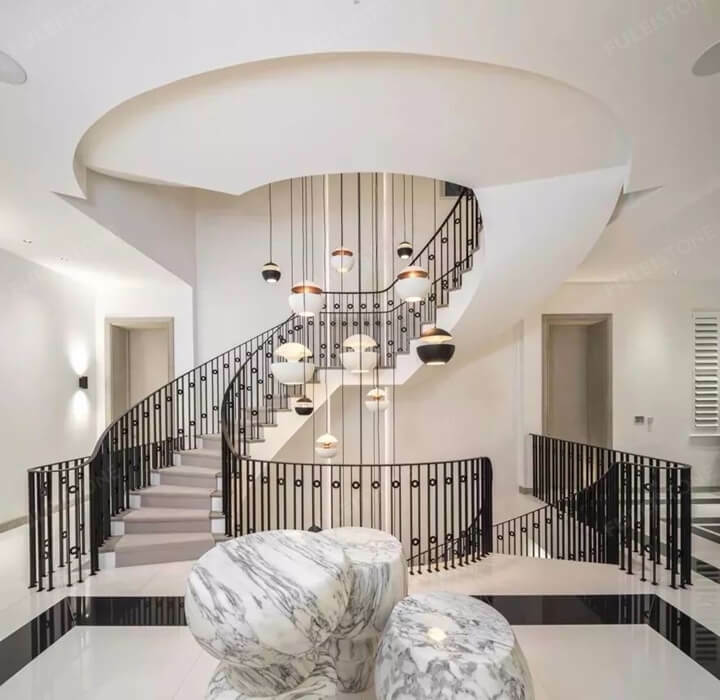 In view of the conventional visual sense of marble, the combination of marble and metal can achieve outstanding effects. 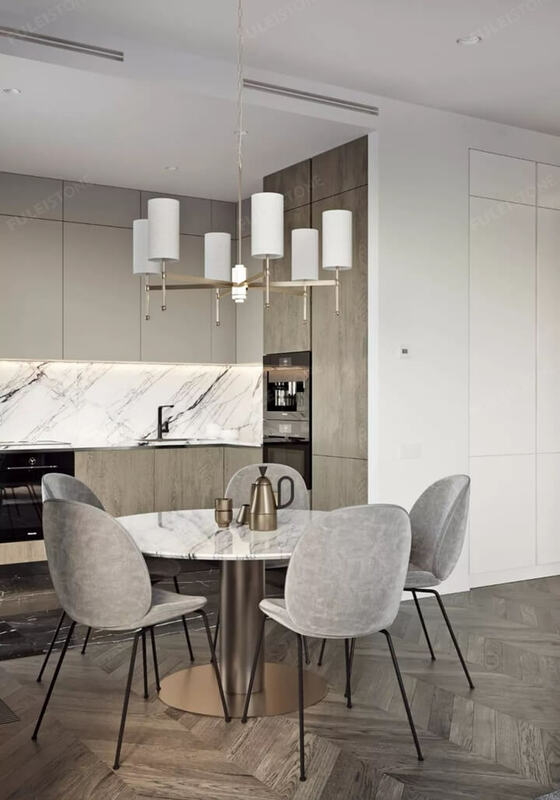 The varied texture and color of the marble, the hardness, and luster of the metal, combined together to make the space full of luxury and warmth. 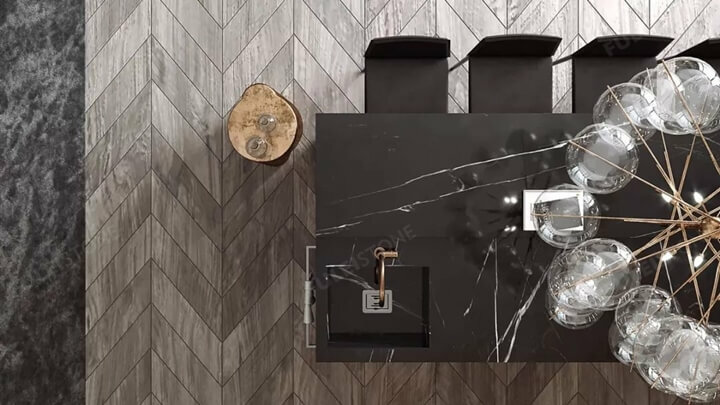 Marble & Metal, integrated with individual pieces. 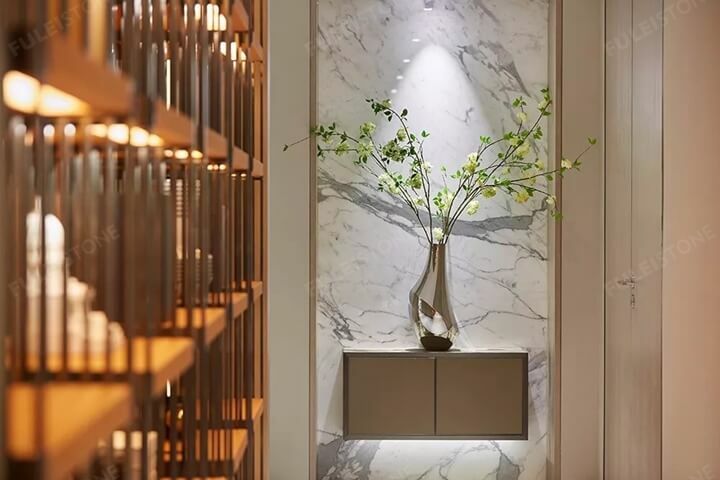 The combination of the simplicity of marble and the exquisiteness of metal, can show both beauty and high grade. It also shows a strong visual appealing. When the hustle and bustle fade away, expect comfort and tranquility, luxury and refinement, gorgeousness but purity. 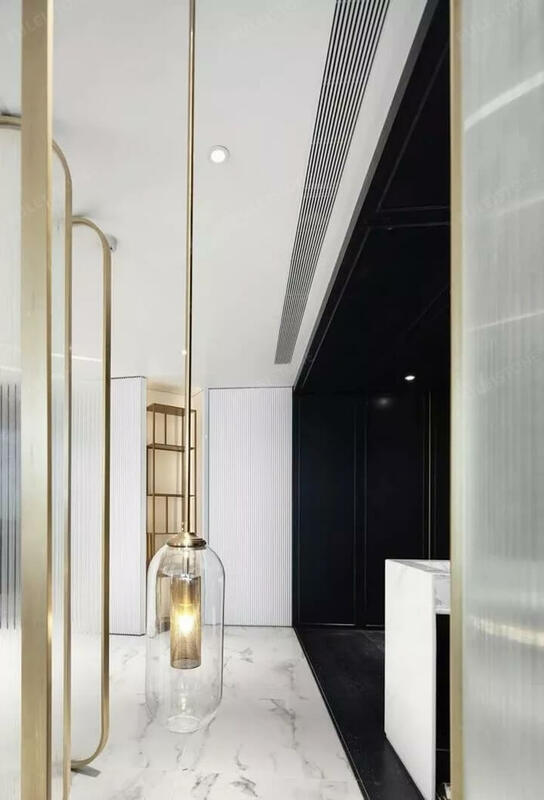 The grooved marble floor matches the metal lines, breaking the vertical lines of the corridor to make the space full of changes. 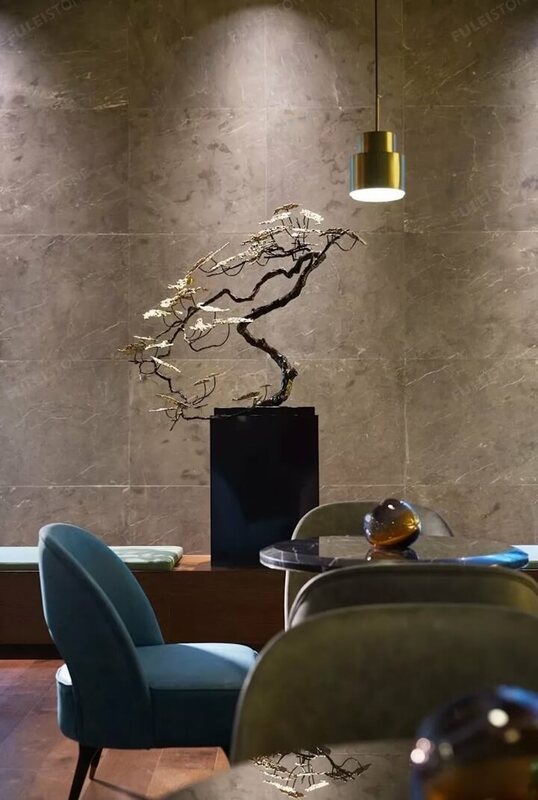 Under the mapping of the lights, there is a different luster, which makes the reflection work as a decorator. The exquisite low cabinets and decorations reflect the design spirit in the details. The metal in the space is elegantly placed in a linear inlaying. 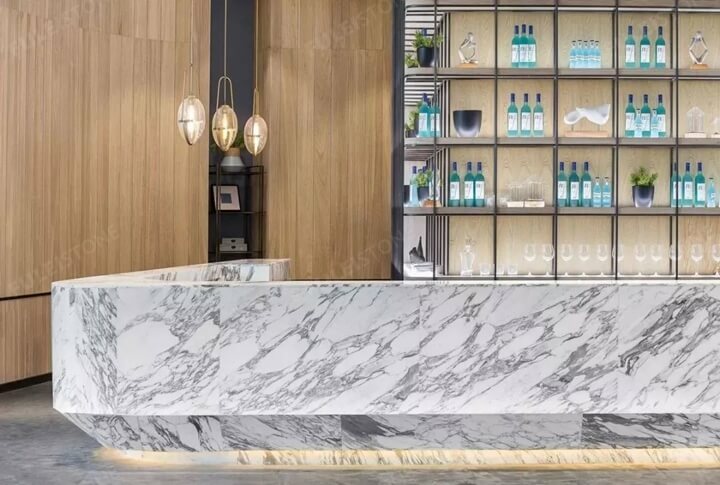 And the white marble changes its texture into a variety of styles, pure and lively. Titanium gold-plated metal trim depicts a lavish modern style. When the sun shines through the curtains, creating the glamorous sparkle that ultimately leads to a luxurious and serene atmosphere. 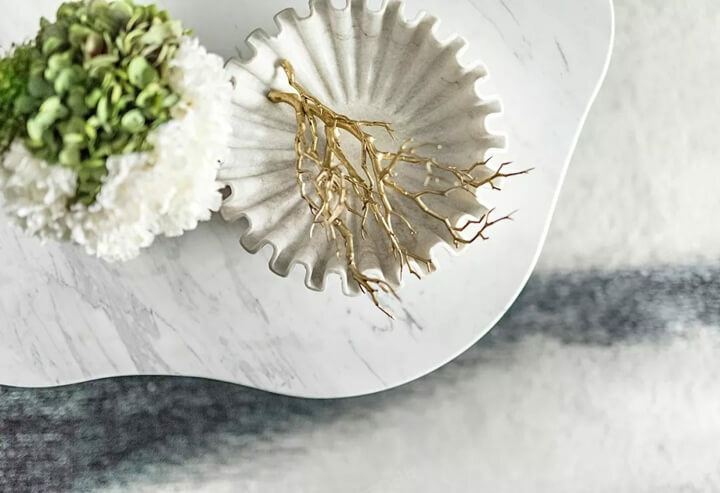 The black marble is low-key and rich in texture. The sharp metal trim shines with fascinating light. Contradictions and strong contrasts reflect the luxurious modern style of the city. 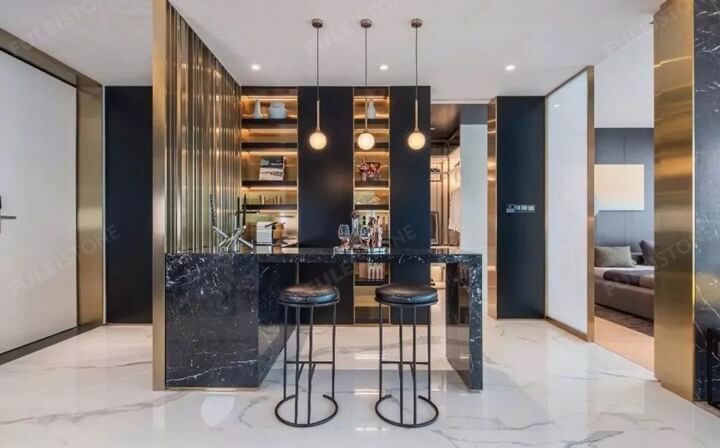 As shown in the picture below, this is the perfect combination of classic Nero Marquina marble and metal. This is a journey full of changes that would be a milestone as we expect to. 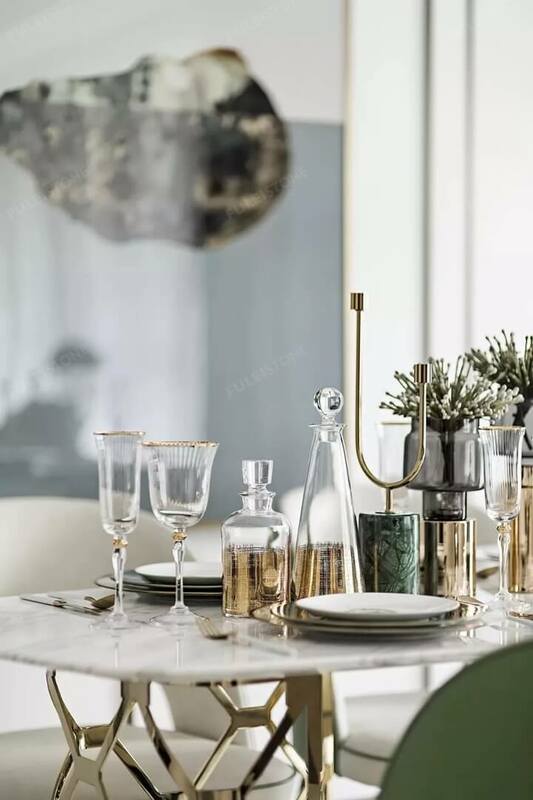 Along with our entire era, we have tried to explore more expressions of contemporary lifestyles through the relentless graphics, proportions, lines, colors, textures and other media to follow our heart. 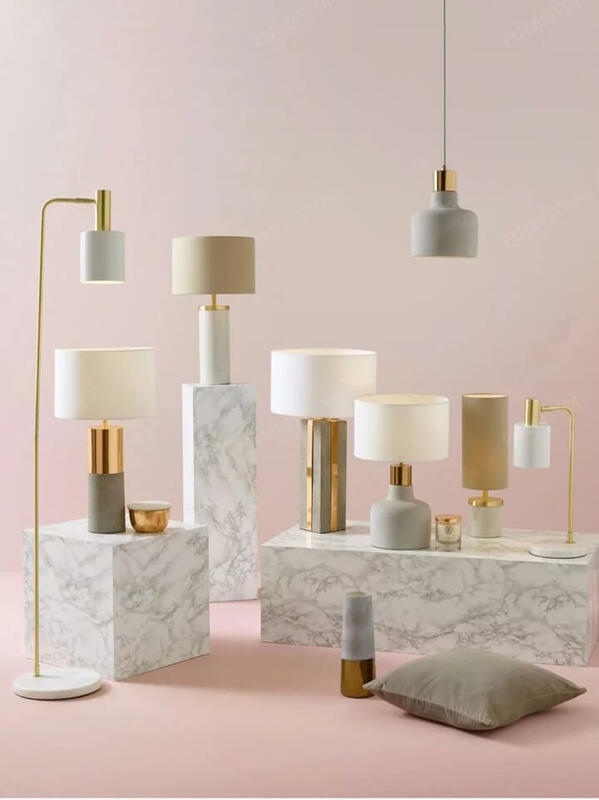 – let’s create our own marble and metal room from now on.